It has been several months since I have been to Downtown Disney, so it’s time to check in to see what is going on lately. After several trips in which I had to scream “Serenity Now!” while trying to find a parking spot, I realized what I needed to do in order to fix that problem: I rope-dropped Downtown Disney. The only two places to park in front of Downtown Disney itself and these are the lot by the Marketplace and way down the other end by Cirque du Soleil. 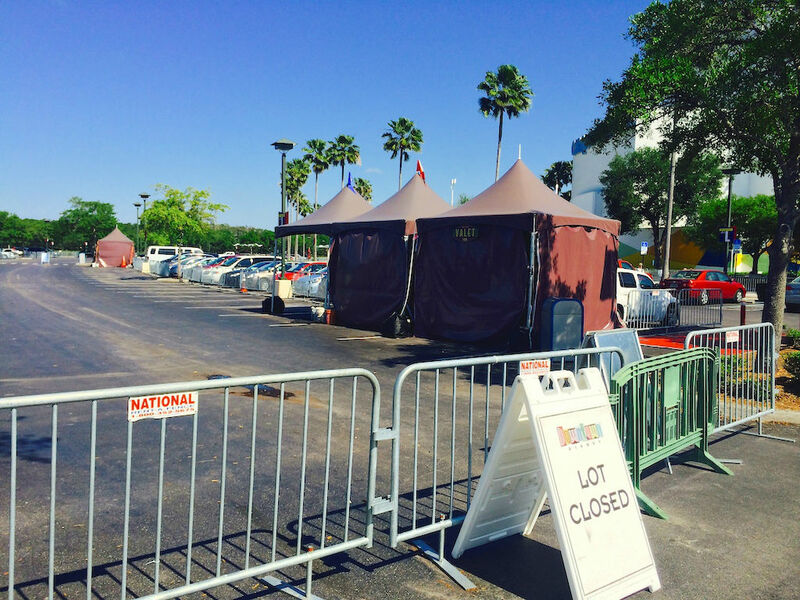 Even at 10 AM, the sign leading to the Marketplace lot said it was “full,” so we parked down by Cirque du Soleil. This lack of parking is caused by the two parking garages Downtown Disney is in the process of building. Many people are hoping for these to be done by the holiday season of this year, but guest services said it wouldn’t be until early 2015. There is also parking across the street in which you can take a Disney shuttle to Downtown Disney. 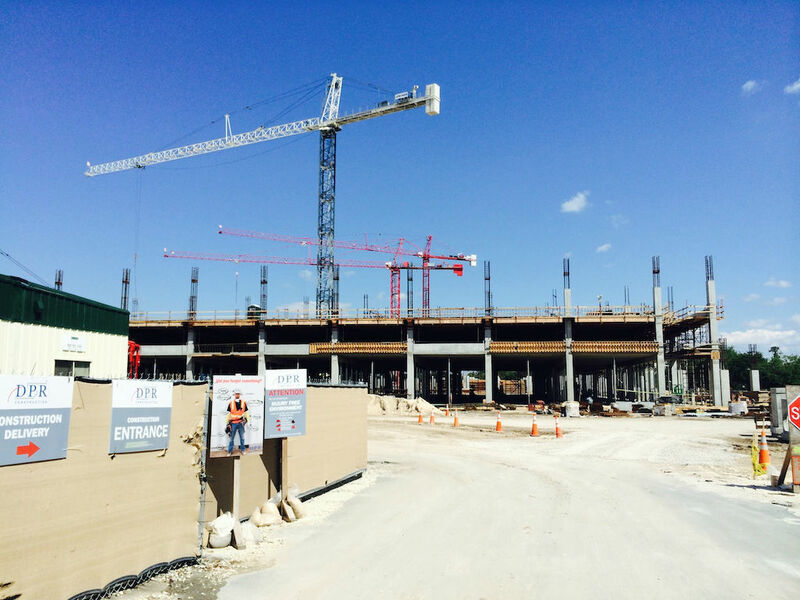 Not only has a lot of the former parking space been taken by the construction of the parking garages, but the closest spaces to Downtown Disney by Cirque du Soleil are reserved for valet parking. 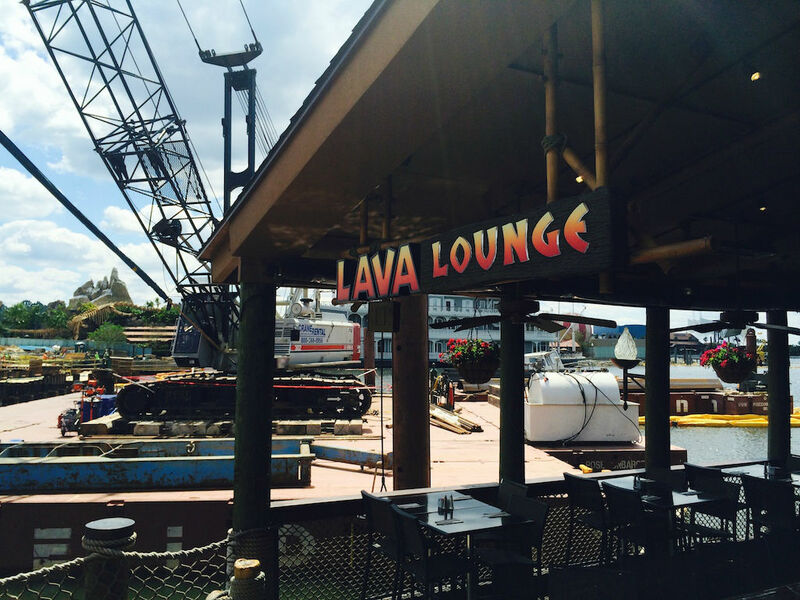 Valet is $20 and begins at 4 PM. 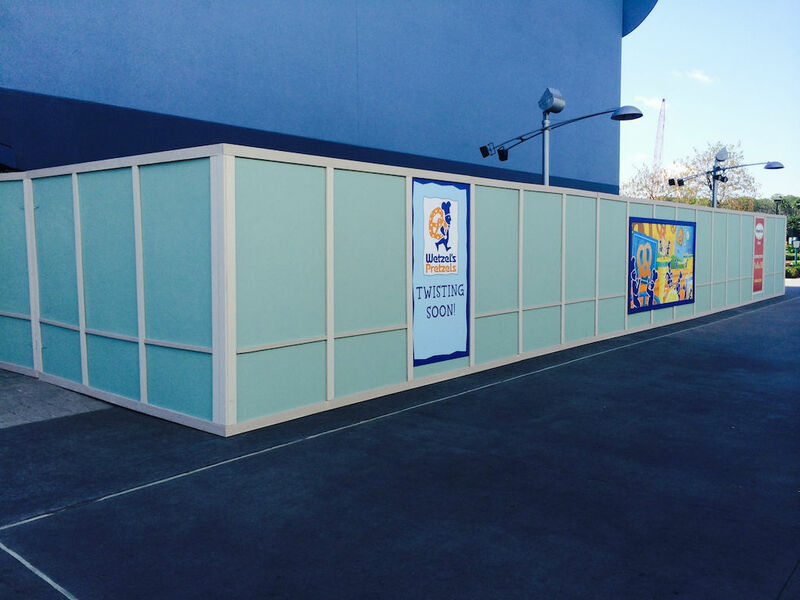 My first surprise of the day were these construction walls put up on the side of Disney Quest for Wetzel’s Pretzels and Haagen Daas ice cream. 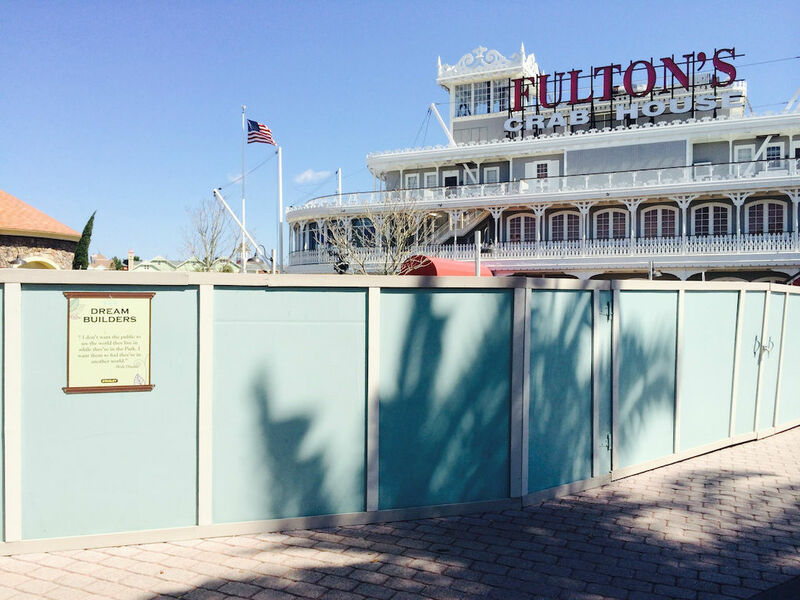 These two venues were formerly at the spot closer to the Characters In Flight hot air balloon, and that area is going to be converted into a Starbucks. I would think this spot would be a challenge to succeed in, but there is the Pop Gallery that is a similar out-of-the-way spot between AMC theaters and Splitsville that has been there for years. 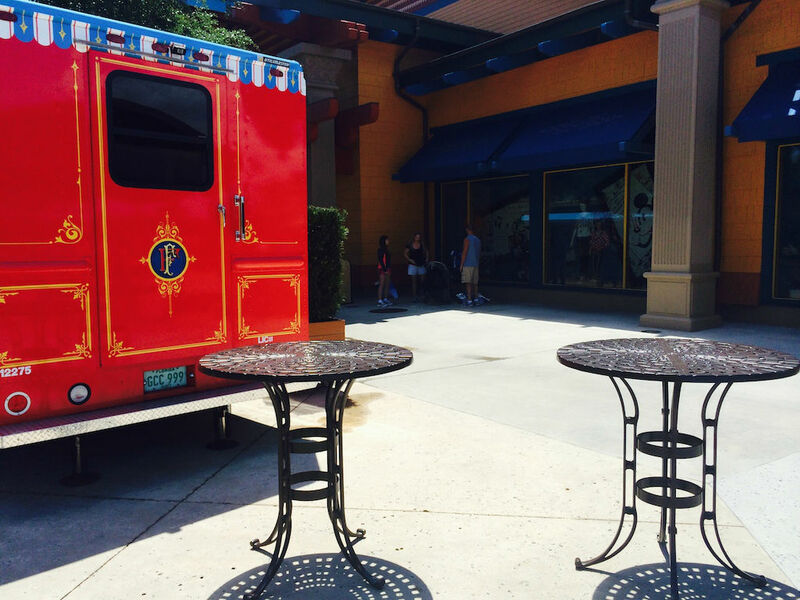 There are four food trucks at Downtown Disney, each one representing one of the four WDW theme parks. 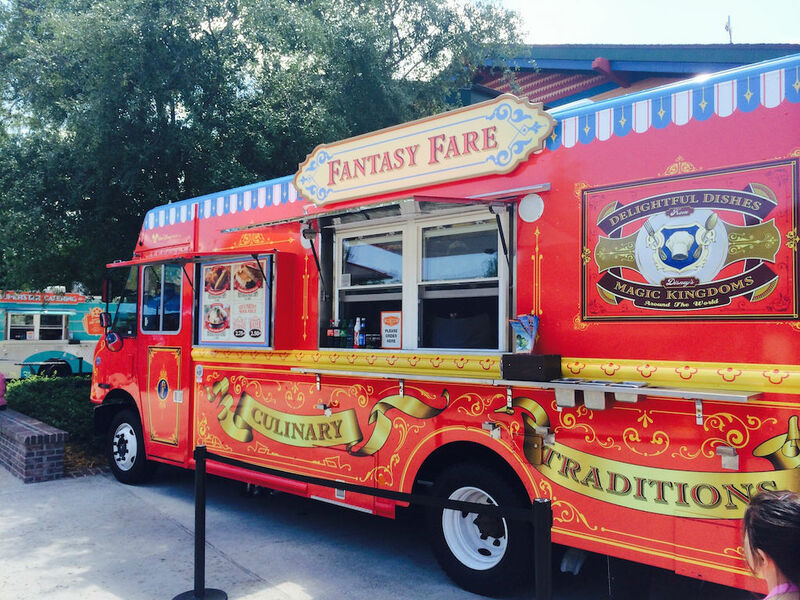 Between the Cirque du Soliel tent and the House of Blues is the Namaste Cafe truck, featuring selections found at Disney’s Animal Kingdom. 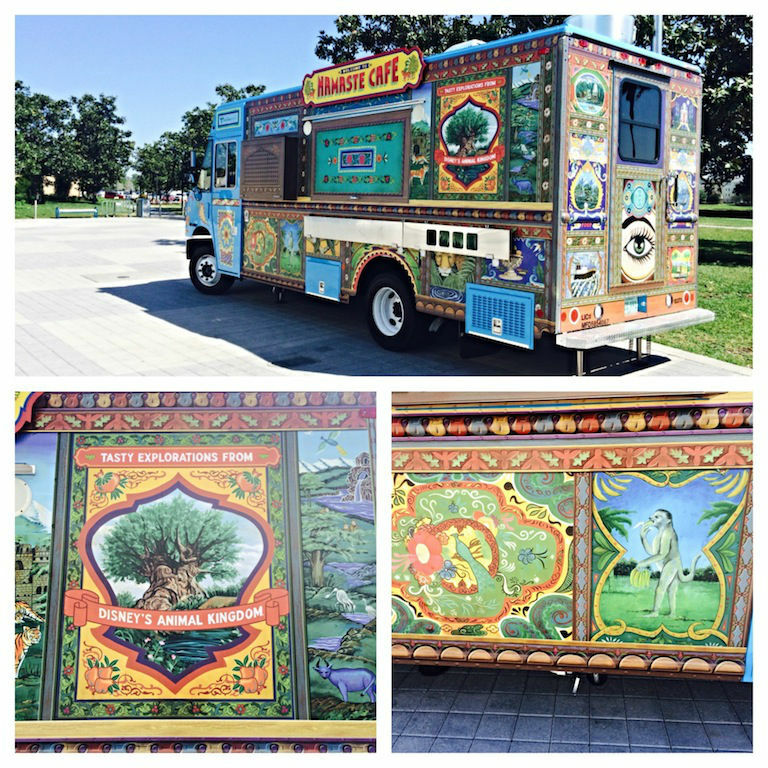 The truck is very colorful and has artwork all around it representing features of Animal Kingdom. 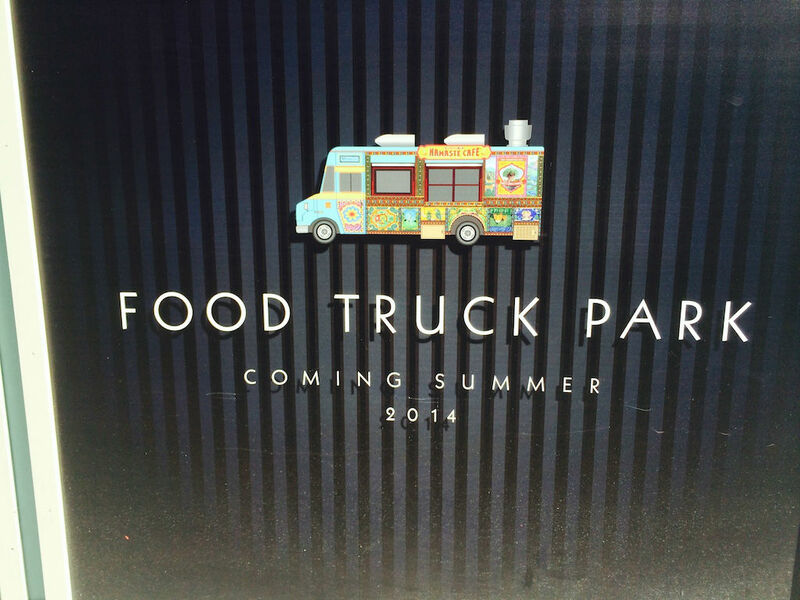 Not far way, near Wolfgang Puck, was the World Showcase of Flavors food truck, featuring options from Epcot. 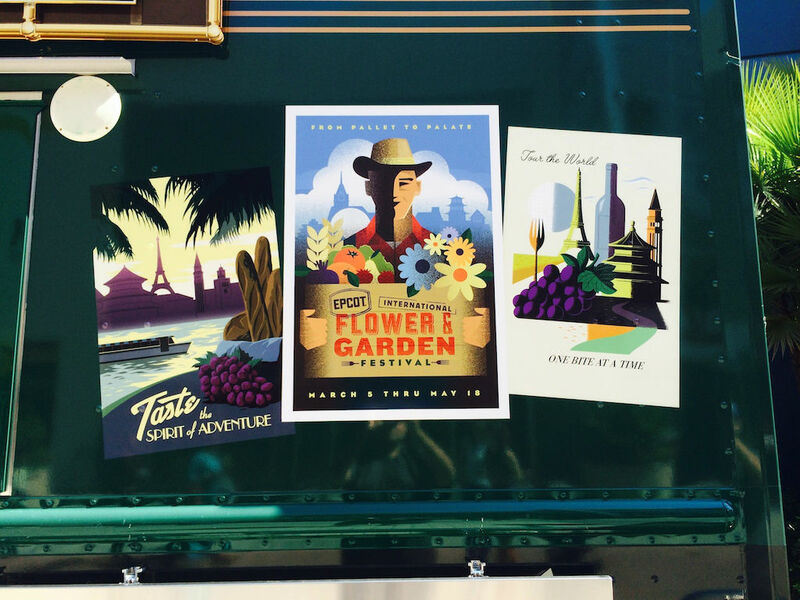 I have seen this truck before, and the last time it had artwork featuring the Food & Wine Festival, but this time it has artwork promoting the Flower & Garden Festival. That’s a nice touch. Several options from the Flower & Garden outdoor kitchens are featured, including the Piggylicious cupcake. After this we came to the point of where construction walls seem to go on forever. 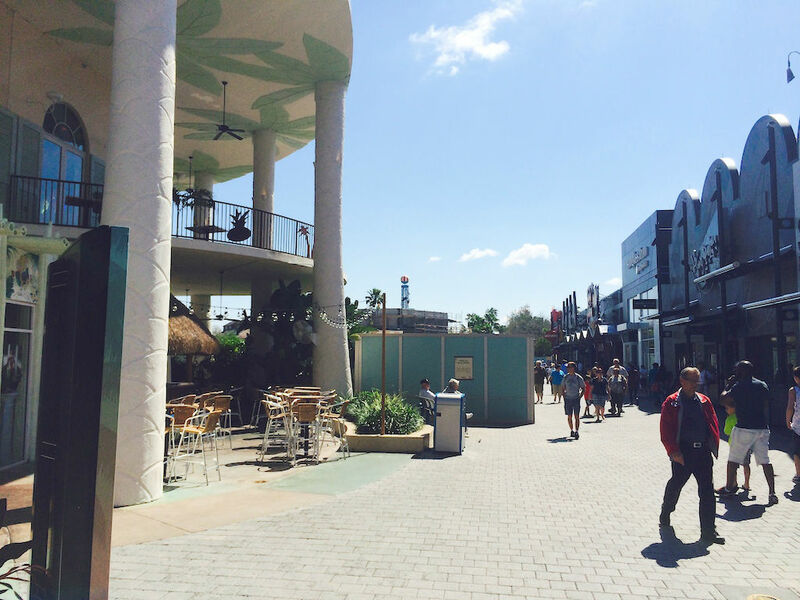 Starting just past Bongo’s Cuban Cafe and ending at the Characters in Flight balloon are these walls, covering up what will be an upcoming Food Truck Park and one of the new Starbucks. 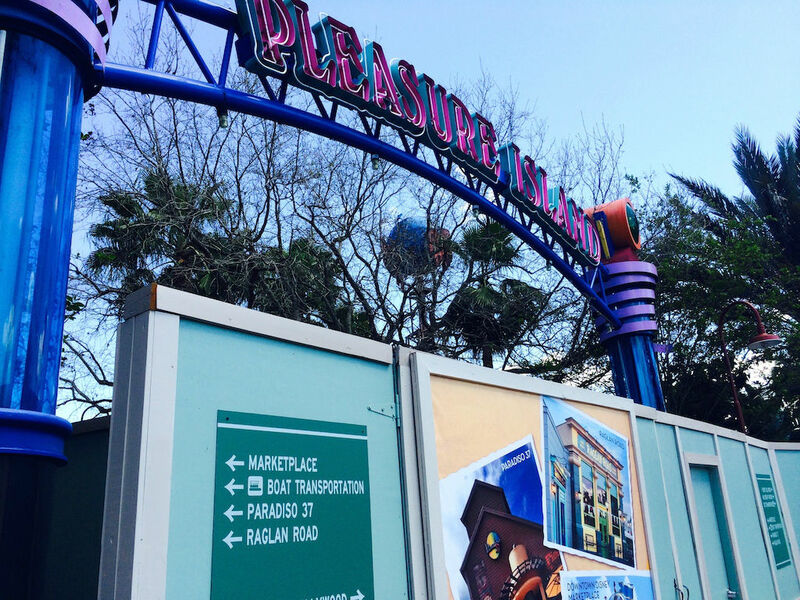 The Bridge to Pleasure Island was closed off, routing people to the new walkway next to the water. 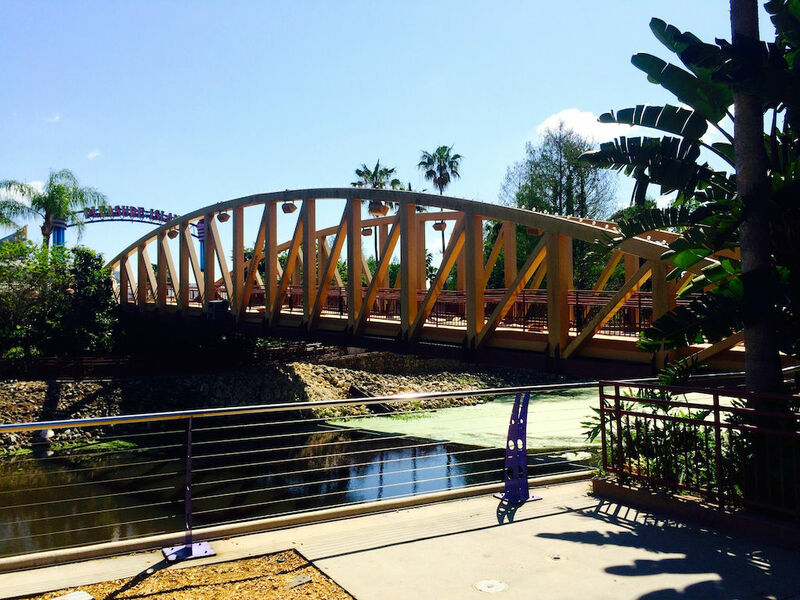 The walkway is filled with quotes from Walt Disney and concept art for Disney Springs. I looked closely at one of the pieces of concept art, and something struck me in the bottom left of the picture. There were cars in the water. EDIT: According to a poster in the comments section, this car/boats already exists on property. 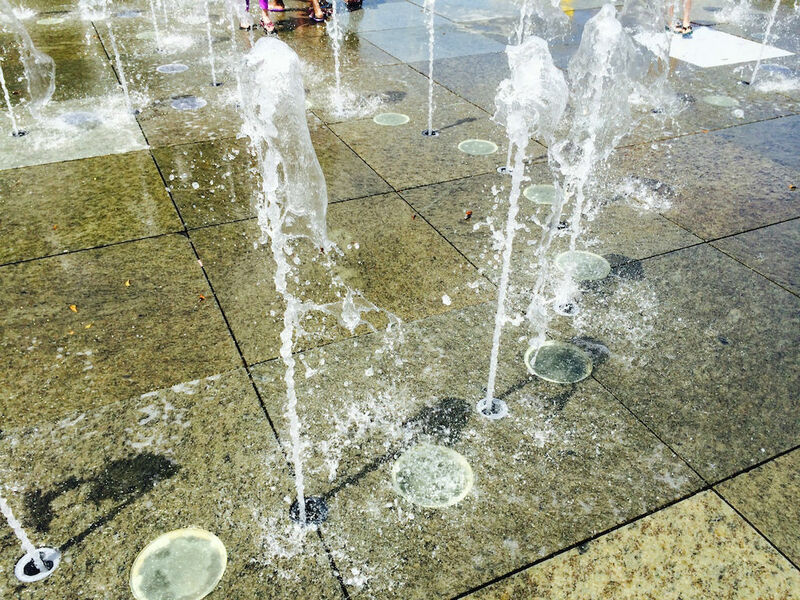 Will try and get pictures on my next trip. If you have a picture, please send it to derek@touringplans.com This I need to see. The walls just kept going and going. 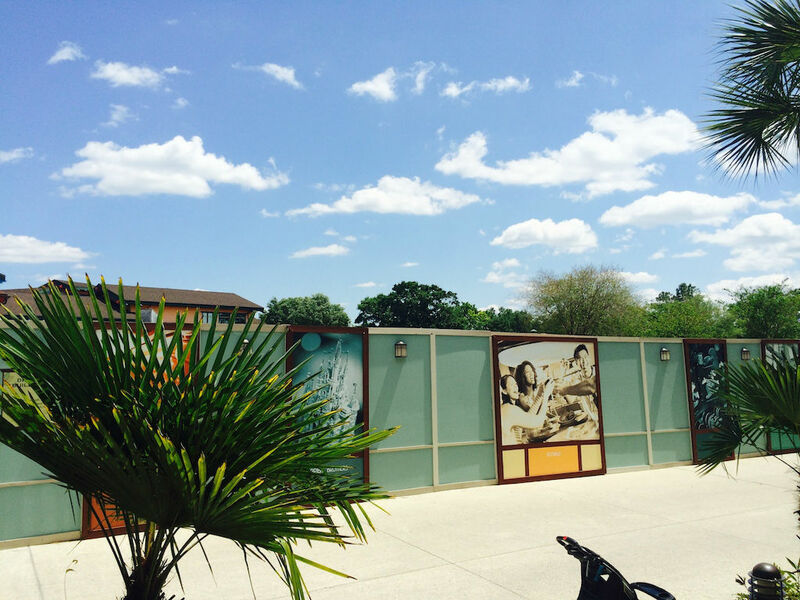 You can see the World of Disney store beyond these walls. Behind these walls is the building where BabyCakes NYC and Pollo Campero used to be. The structure is completely gone. The former home of Babycakes NYC By Grabthar’s hammer, you shall be avenged! 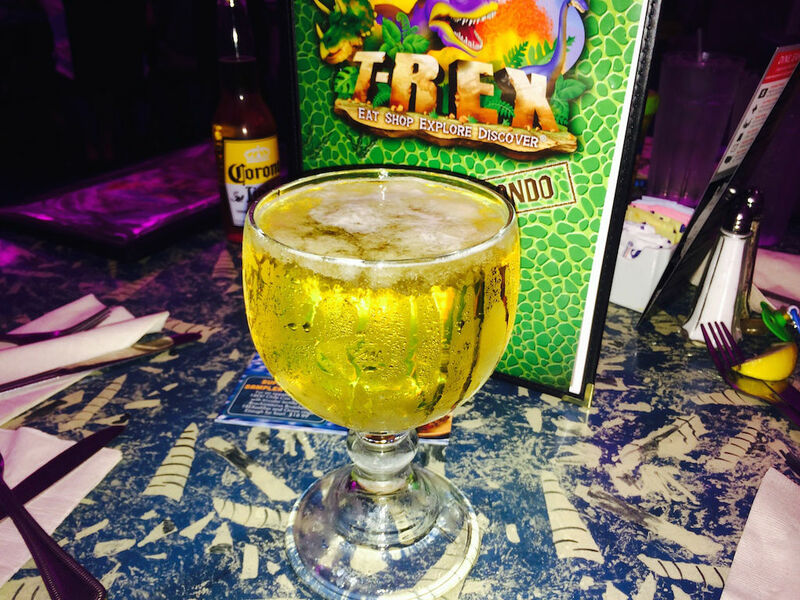 I wanted to see what was up with the fish tank in T-REX that sprung a leak last month, and we decided to have lunch while we were there. The tank is still not repaired, and even has a scrim around it. 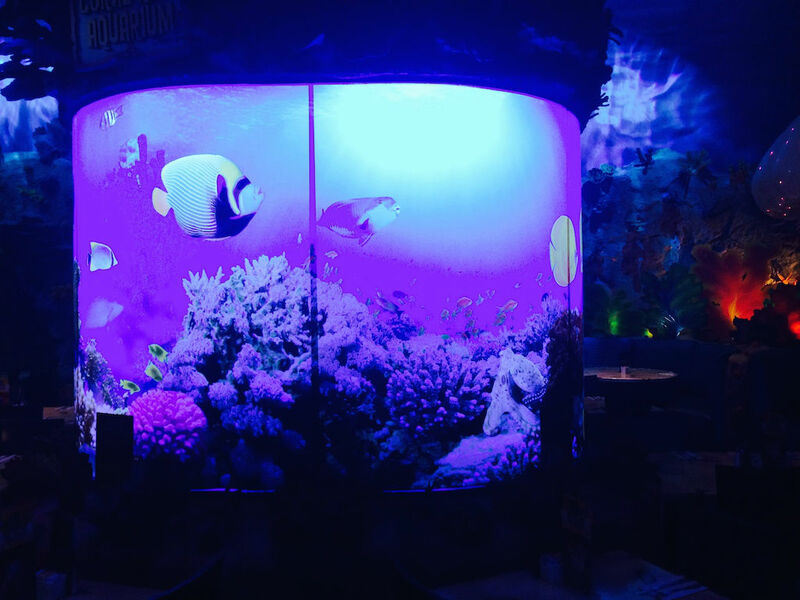 This was the fish tank at T-REX that was spraying water last month. We had an 18 month old with us, so we asked not to be seated near any moving dinosaurs. We sat in the ice room. Of course, this had a dramatic impact on the quality of pictures, so we’ll just go over a couple highlights. The draft beer was served in these nice sized goblets that keep the beer really cold. In fact, it was served with almost a layer of ice on top. We ended the meal with the Chocolate Extinction – a gigantic portion of chocolate fudge cake served with ice cream, creamy whipped topping drizzled with fudge, and caramel sauces and sprinkled with Butterfinger crumbs. I was sold on the Butterfinger crumbs. 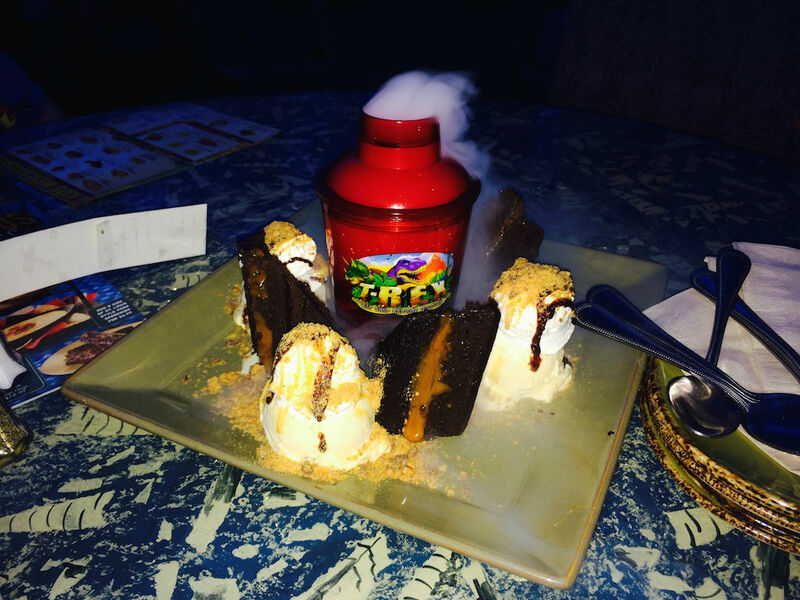 I think I’d even order a side of steamed broccoli if it were “sprinkled with Butterfinger crumbs.” The dessert also came with a cup of dry ice spilling “smoke,” which made for a neat effect. This was fantastic. Our party had four adults and one child. Two of us had alcohol, and the other two had water. With two apps and four entries, the total was over $135. While pricey, I think the “wow” factor of T-REX is enough for families who haven’t been before, especially with young children. 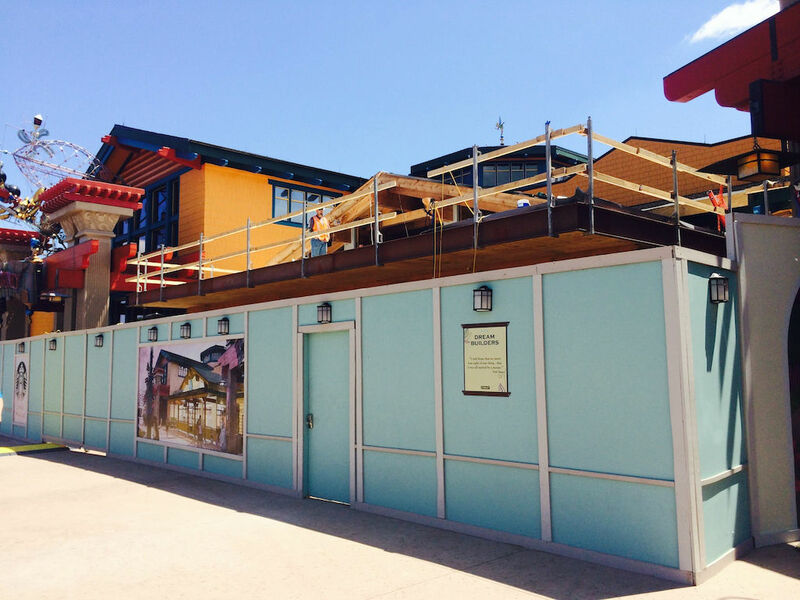 The next stop was World of Disney, and outside the front was construction for the second Starbucks that is coming to Downtown Disney. This one actually baffles me. Putting a Starbucks in front of an already congested store is just asking for trouble. I imagine during busier times they are going to have to build another Starbucks in front of this one for people who need a coffee while waiting in line for their coffee. 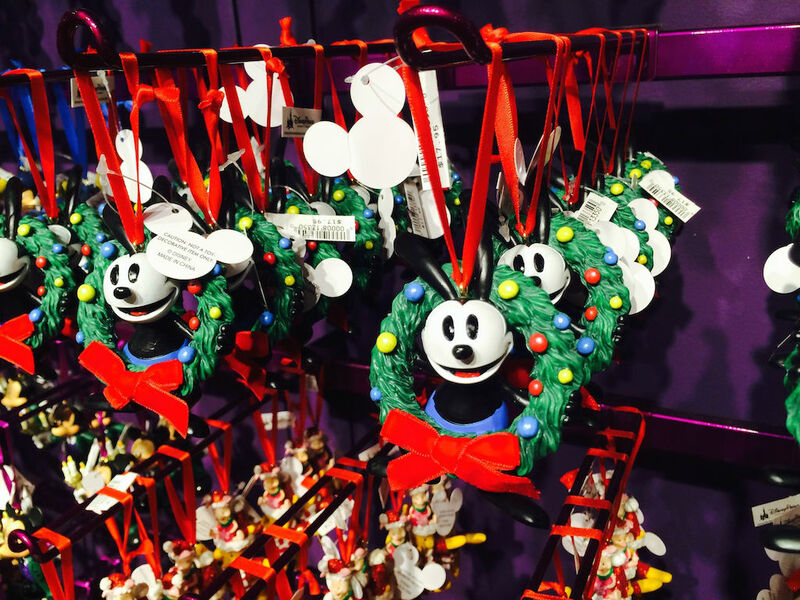 One of the things I do for the TouringPlans blog is a monthly Photo Report of the Disney Outlet Store. 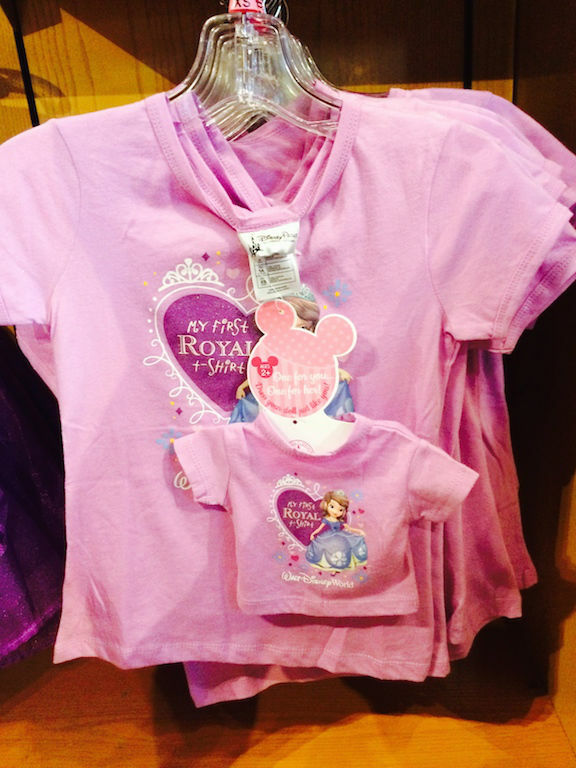 Back in January I saw the line of “stylized” princess shirts were already at the outlets, having made their debut at the parks in late 2013. A similar style of art is on a bunch of new shirts featuring the princesses and their significant others, although the girls are now more cartoony and less “adult” looking. Each shirt was $27.95. 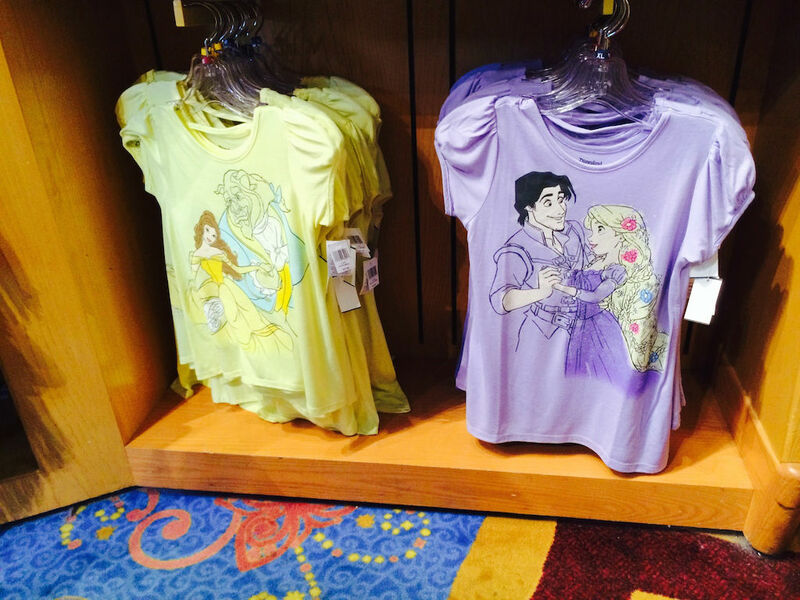 Also available are Ariel/Prince Eric and Cinderella/Prince Charming. 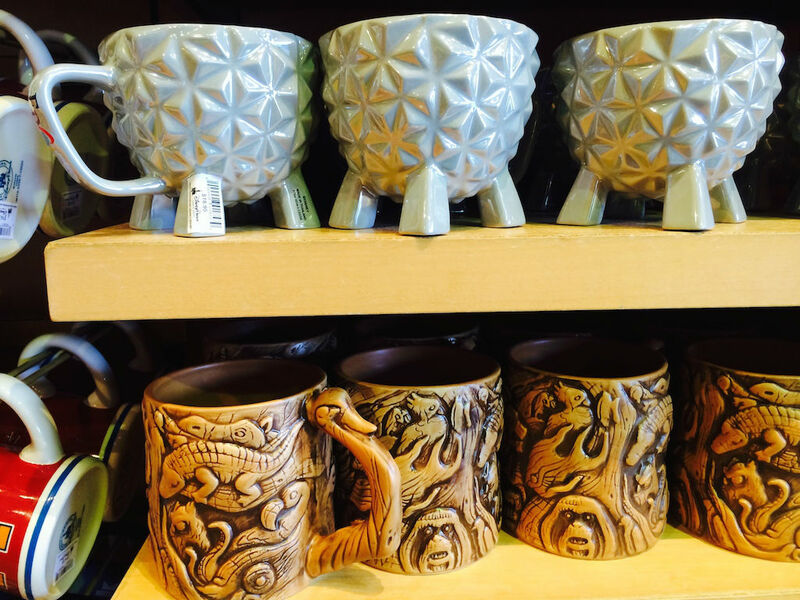 I might be alone on the island, but I’m not a huge fan of these Epcot Spaceship Earth and Animal Kingdom Tree of Life mugs. Each food truck had a very small area with a couple tables for guests to eat on. 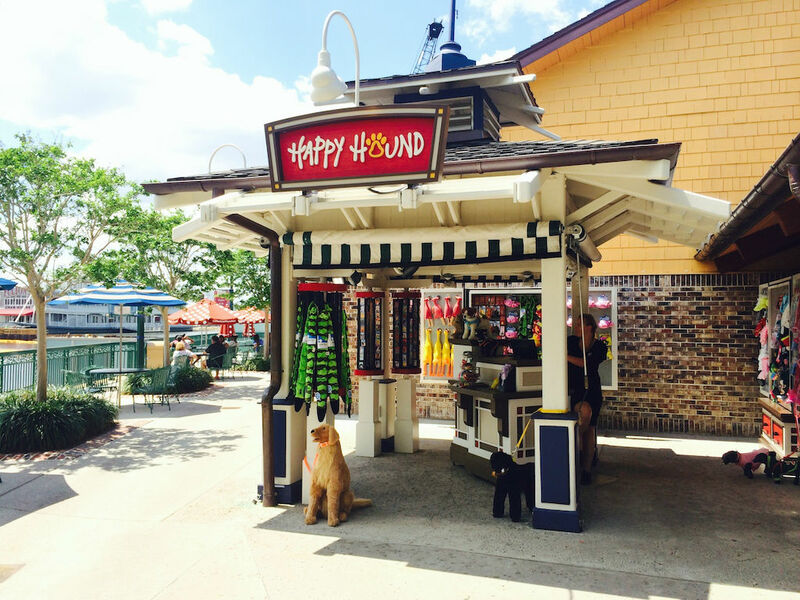 A reader of the TouringPlans twitter account (@TouringPlans) asked about the Happy Hound kiosk. 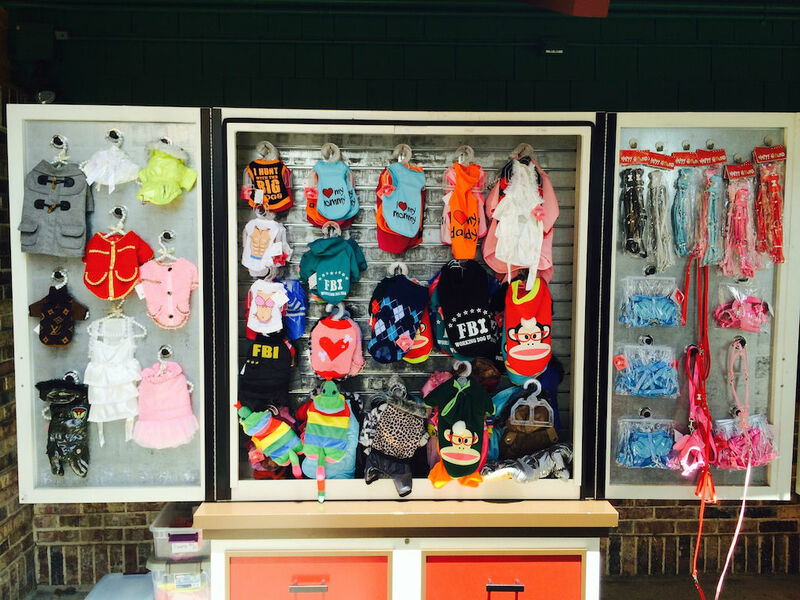 This is a small area dedicated to pet products, and – as far as I can tell – not a single one was related to Disney. With the amount of dog characters in the Disney library, this is a huge wasted potential. 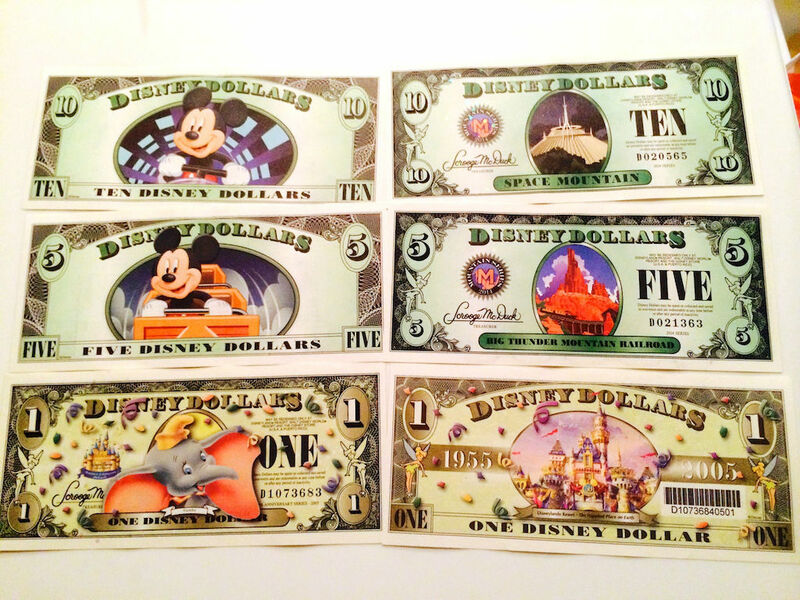 I made a quick store to Guest Services to ask a couple questions and buy some Disney Dollars. Here are the designs available currently. One of the questions I asked Guest Services was when the Marketplace Co-op would be opening (the store replacing Team Mickey), but the only answer they had was, “this summer.” That is one place I’m really looking forward to after seeing the Disney Parks Blog showed some pictures of upcoming merchandise. 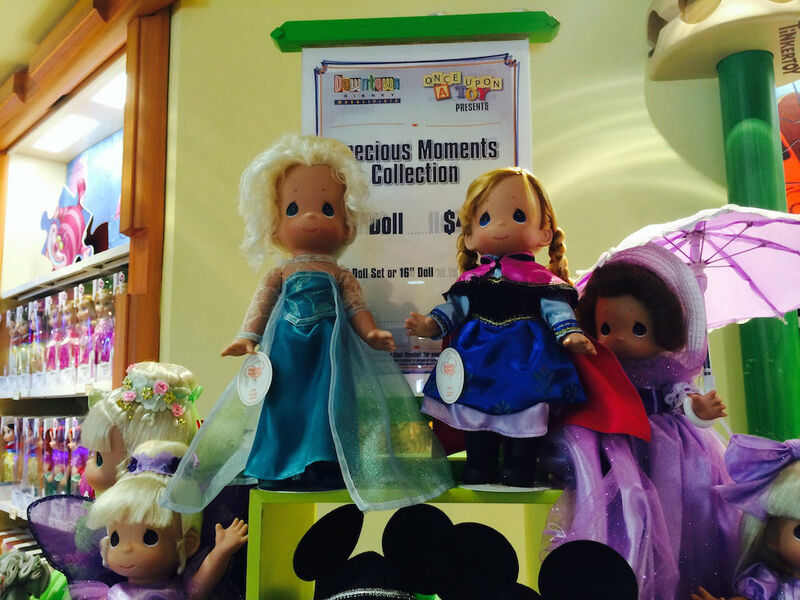 Then I went over to Once Upon a Toy, and a whole bunch of new Precious Moments dolls have been added to the mix, including special “Easter” ones with the characters wearing purple, and Frozen‘s Anna and Elsa. I can definitely see the charm in these. 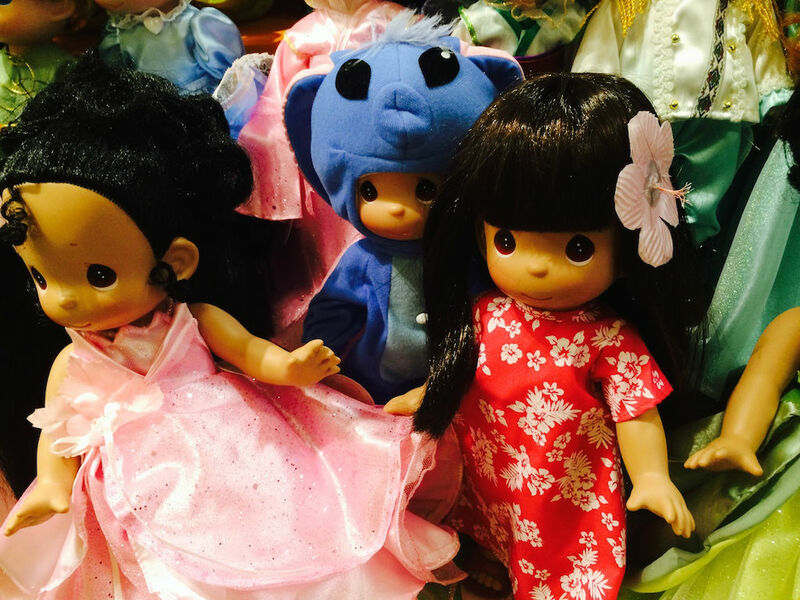 Princess and the Frog‘s Tiana next to Lilo and Stitch. 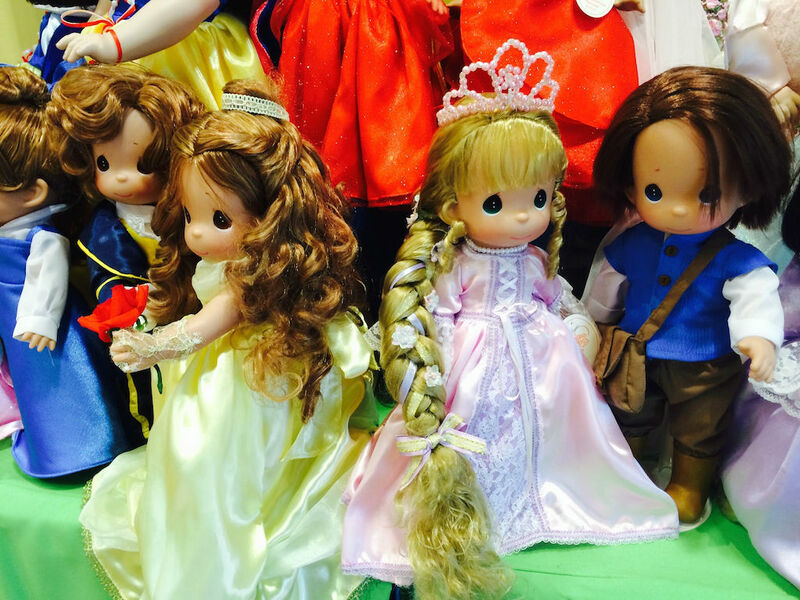 Belle and Rapunzel with their princes. 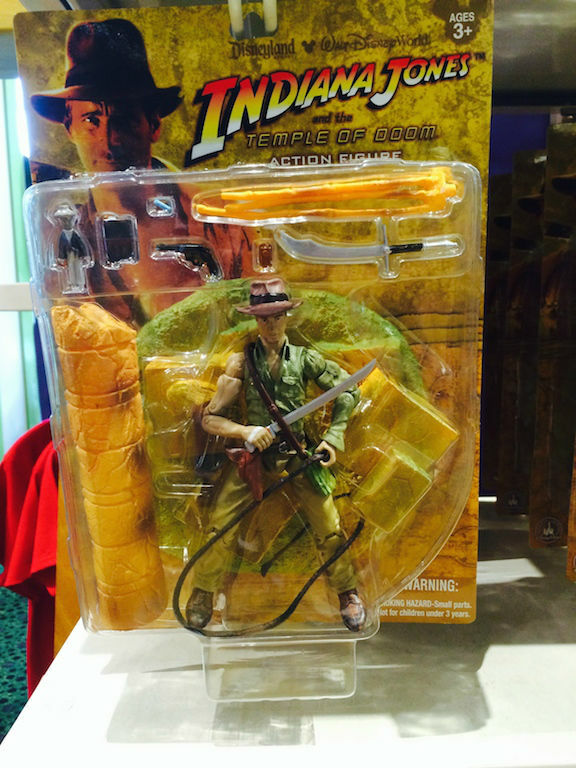 I took a picture of these Indiana Jones and the Temple of Doom action figure for two reasons. One, it’s for Indiana Jones and the Temple of Doom, and of all the movies why would you have figures from that? 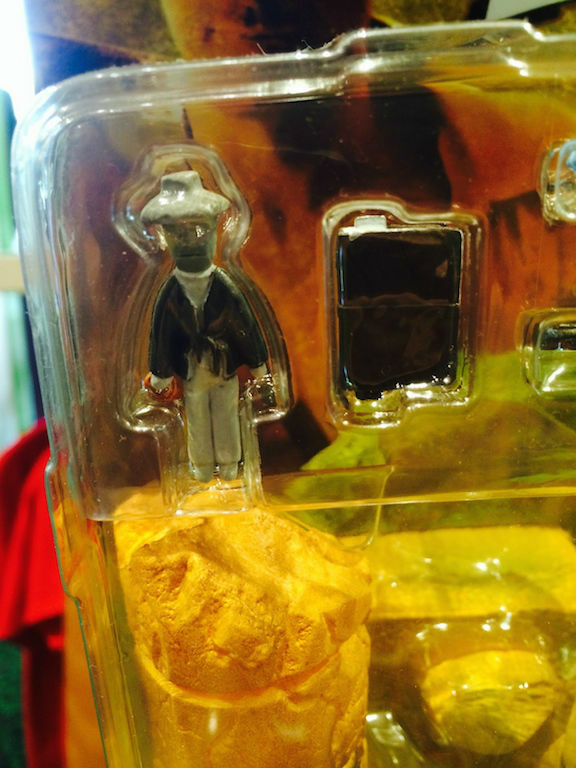 But two, it comes with a small Indiana Jones voodoo doll! Voodoo doll accessory. All that’s missing is a beating heart. 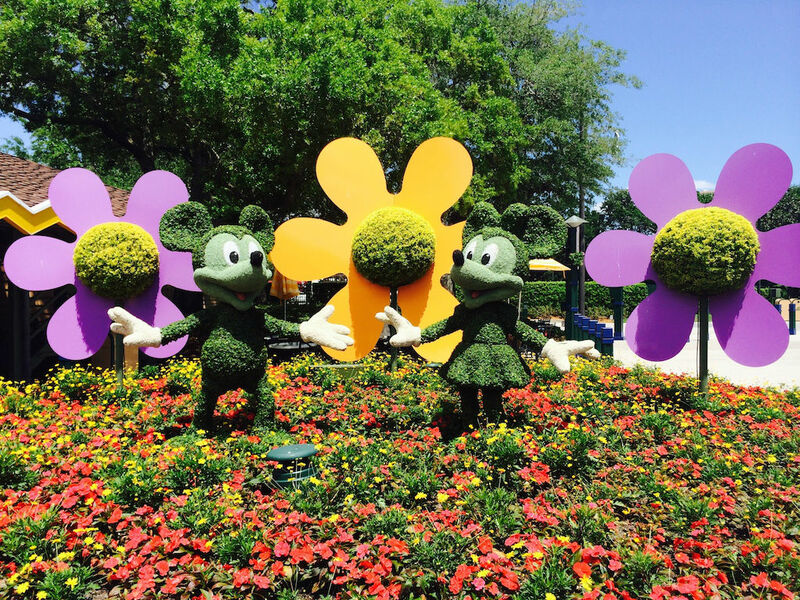 Near Earl of Sandwich there was a nice photo op promoting the Flower & Garden Festival with Mickey and Minnie topiaries. 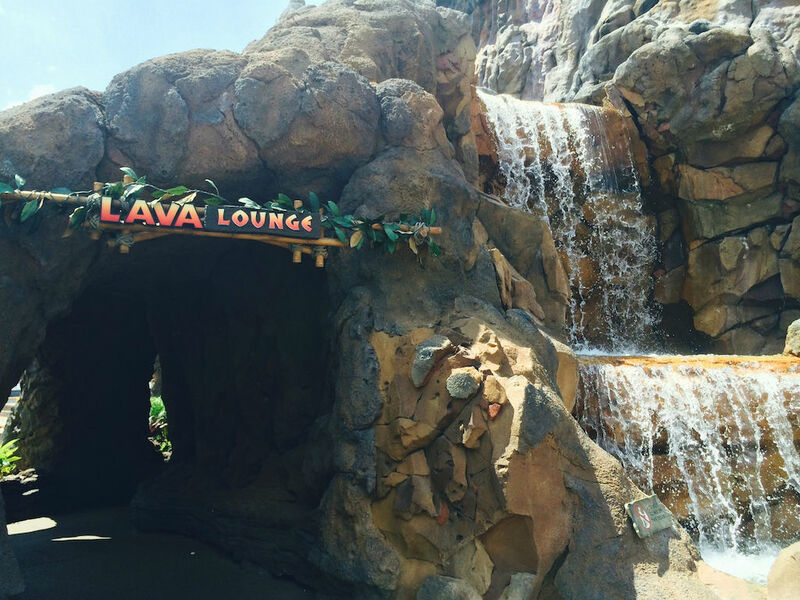 Before leaving for the day, we wanted to get a drink, so we stopped at the Lava Lounge at the Rainforest Cafe. This was under construction for a while, and I’m not sure why they didn’t wait if there was going to be so much construction blocking the view. There was nobody there in the middle of the afternoon. 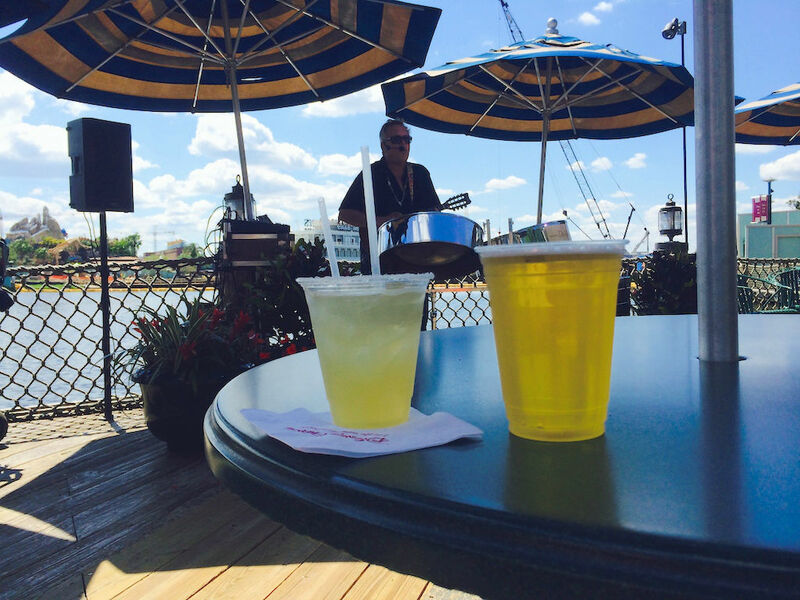 We definitely wanted a drink by the water side, but didn’t want to just stare at a crane, so we headed over to the Margarita Bar, which had some live music playing. We got a Patrón Añejo Margarita and a Bud Light draft beer. As for the Downtown Disney “Experience” itself, I’m not exactly sure what to tell people. This is the worst place on property to find parking, and keep in mind WDW has Disney’s Hollywood Studios parking on Star Wars Weekends, so imagine what that is saying. There are several decent restaurants to have a meal or drink at (I’m a fan of the House of Blues), T-REX is a spectacle, Splittsville is a lot of fun, Cirque du Soleil is amazing, the Dine-In theater at AMC is one of my favorite places to watch a movie, World of Disney has a ton of great merchandise, and there are several fun things for kids to do (including a small train and carousel). 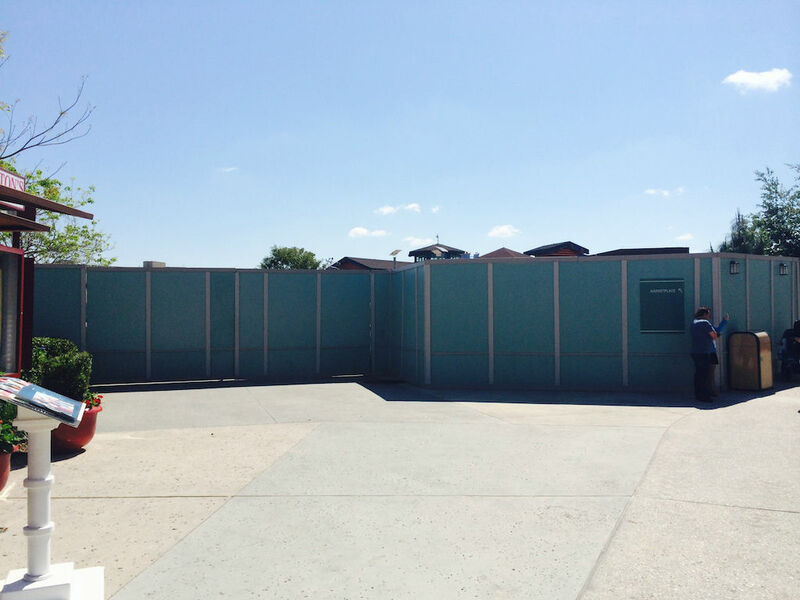 The amount of construction walls is overwhelming, though, and many people have told me that this is what Disney’s California Adventure was like when they were building Cars Land and redoing the front entrance. 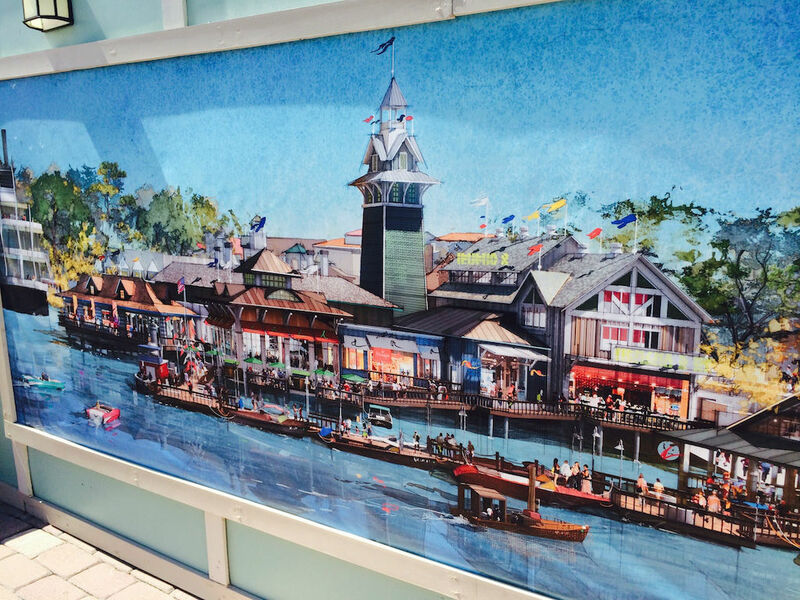 I have high hopes for the upcoming Disney Springs, and if we get something even close to what the concept art teased, no one is going to remember this hiccup in the road. 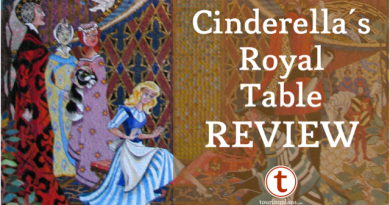 Cinderella’s Royal Table: Worth the Hype? Did I miss it in your post or did you only see 3 of the 4 Food Trucks the day you were there? 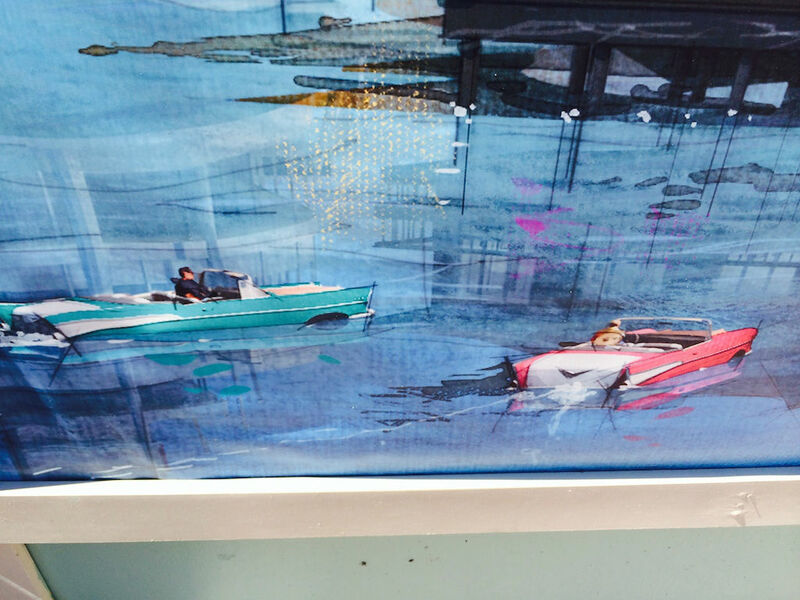 The cars in the water are Amphicars built between 1961 & 1965. 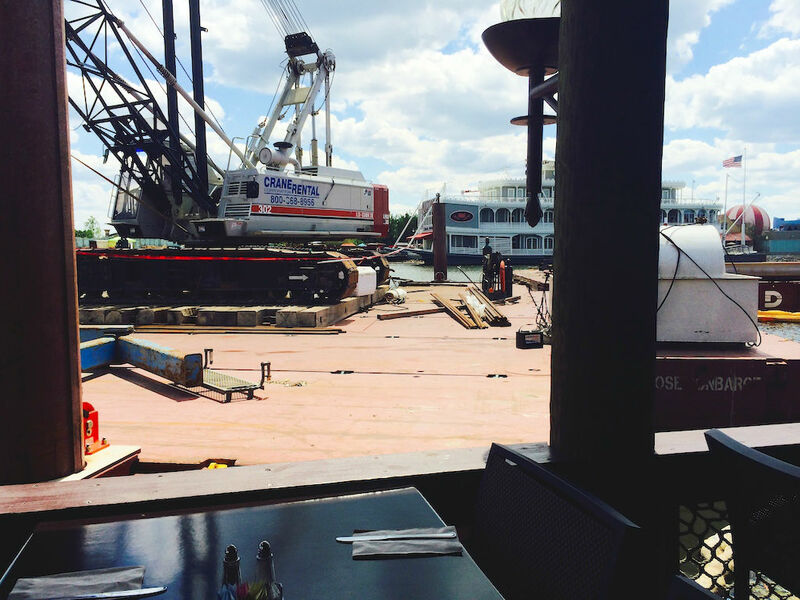 Steven Schussler (creator of Rainforest Café, creator/owner of Yak & Yeti and T-Rex) has been collecting the Amphicars for a restaurant tentatively called The Boat House Orlando on the building permits. These Amphicars I need to see in person, sounds interesting. 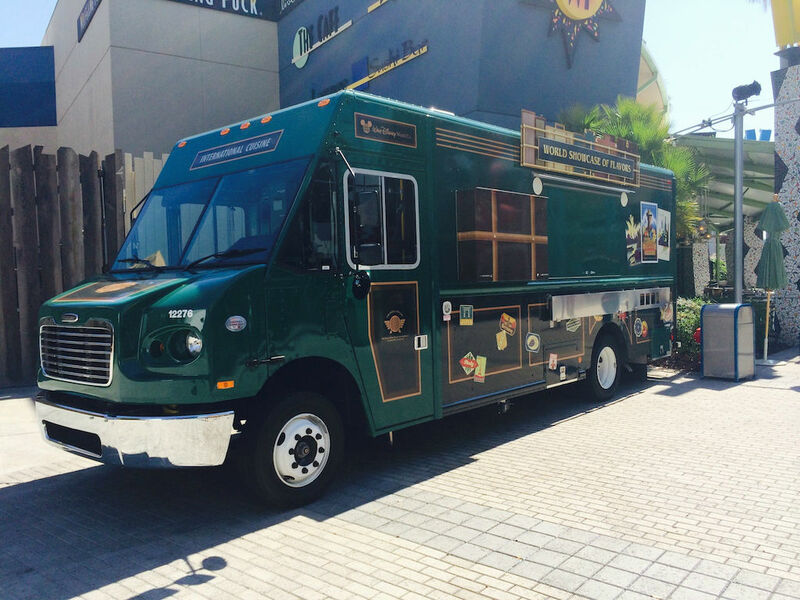 Superstar Catering, the food truck which offers items from Disney’s Hollywood Studios was there. I couldn’t get a picture without someone in the shot. Is it possible for one to park at Saratoga Springs Resort and take the boat to DTD? or walk? That’s the Buena Vista Palace, I think. 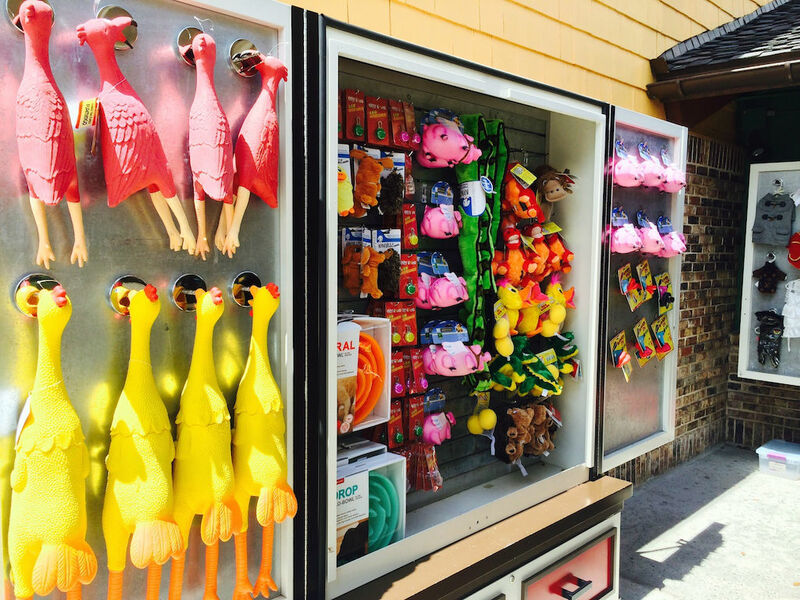 There are several hotels on Hotel Plaza Blvd that may allow you to park…for a fee, of course! Can you please provide an update after your May trip as to whether or not I should go during the construction (trip in June)since everything seems to be walled up. While fine for our family since we go every trip and are familiar, I am bringing first time visitors (adult and 10 year old girl) and am concerned that it may not be worth the time/experience for them. My wife and I stayed at Port Orleans in October and those car-boats were driving down the river in front of us on our way to downtown disney. My mind is blown. I will update the article with this new information. We are going to T-Rex for my son’s 5th birthday next week – have a 4pm reservation so we can make the 6pm Cirque. We are staying at the Grand Floridian, and going to HS during the day (hoping to get my son into Jedi Academy that day), and had planned to drive everywhere (GF->HS->DD->GF), but your info on the parking situation at DD has me rethinking this plan. I’d be fine doing the valet if it was available before 4pm – any chance we can squeak in early? I’m reluctant to use the shuttles because we want to get back to GF quickly after Cirque. Any suggestions? There’s always parking at Saratoga springs. You’ll have to talk your way past the guard though. The parking is not the only problem. It’s also really bad traffic because of the parking problems. So the bus to DTD is really a bad option. To use the bus from DHS, drive to port Orleans or Old key west and park there. The bus from port Orleans or old key west uses roads on the north side of DTD and can avoid the traffic. Just get off at the first stop regardless and walk the rest of the way. If you use Saratoga springs and then use the boat it’s a very nice boat ride. Or you can park as far east as possible and use the walking path to DTD. If you don’t want to cheat the hotel parking, then I’ve found this is probably the quickest: (It could involve j-walking however). I recommend dropping off the entire party at the west end of DTD (don’t try to drive further east on Buena vista then you’re first chance to drop off or you’ll get into traffic). Drop of everyone but the adult “runner” who would go park the car across Buena vista drive at the western most parking across from Buena vista. Drive as far west in that parking lot as they’ll allow in that parking lot and then cross into DTD west of parking garage construction and you’ll be away from the crowds. Or just go and try to find parking behind cirque du soleil. You might get lucky but that fills up too. The valet parking isn’t really all that convenient to T-Rex anyway. If you were going to spend $$ on valet parking at DTD, just take a cab from DHS. They’ll be the most straight forward route, and they won’t have to find parking. Then after, you could take a bus to boardwalk and send a walker to the DHS parking lot along the walking path or take a cab back to the DHS parking lot. The cab is likely to be more quick and convenient than valet parking, and the cost for 2 cab rides is probably similar to a $20 parking charge. And you have the option to just get the cab there and Disney transportation on the way back. Quickest Disney transportation from DTD to DHS: walk to saratoga bus stop if you’re the east side of DTD or take 2 busses: 1 to old key west and then a bus to DHS. You will only get a bus to DHS if DHS is open. Otherwise, you could get a bus to the Polynesian and walk to the TTC. There’s a bus at the TTC as long as magic kingdom is open to take you back to DHS parking lot. But that’s a log bus ride just to avoid a $10 cab ride or a little bit of a walk from the boardwalk.